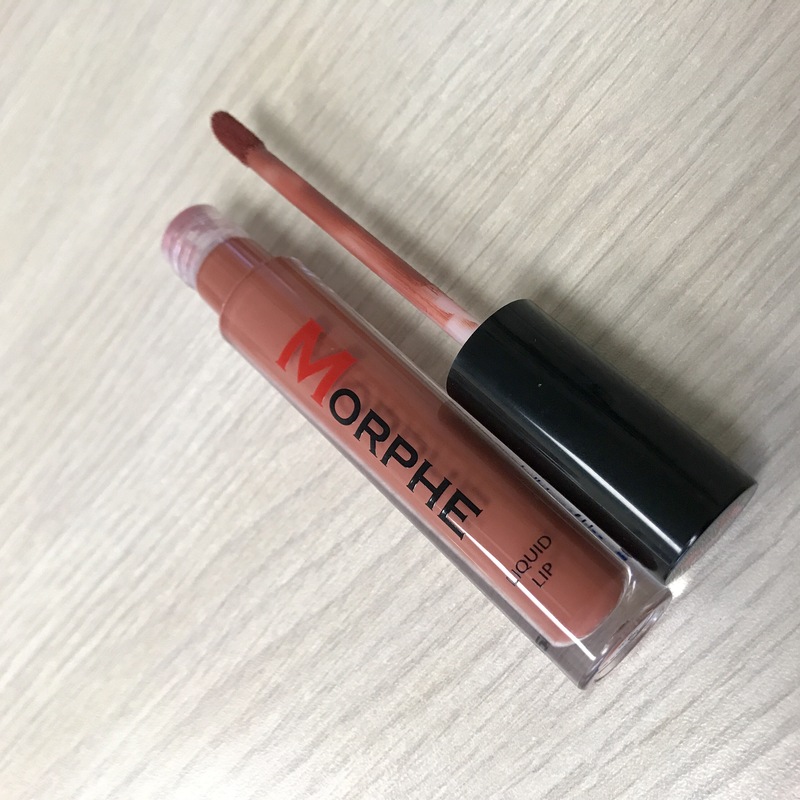 Today we’re going to talk about Morphe Brushes brand of liquid lipstick in the shade Peanut. The retail price is $12.99 on Morphe Brushes. 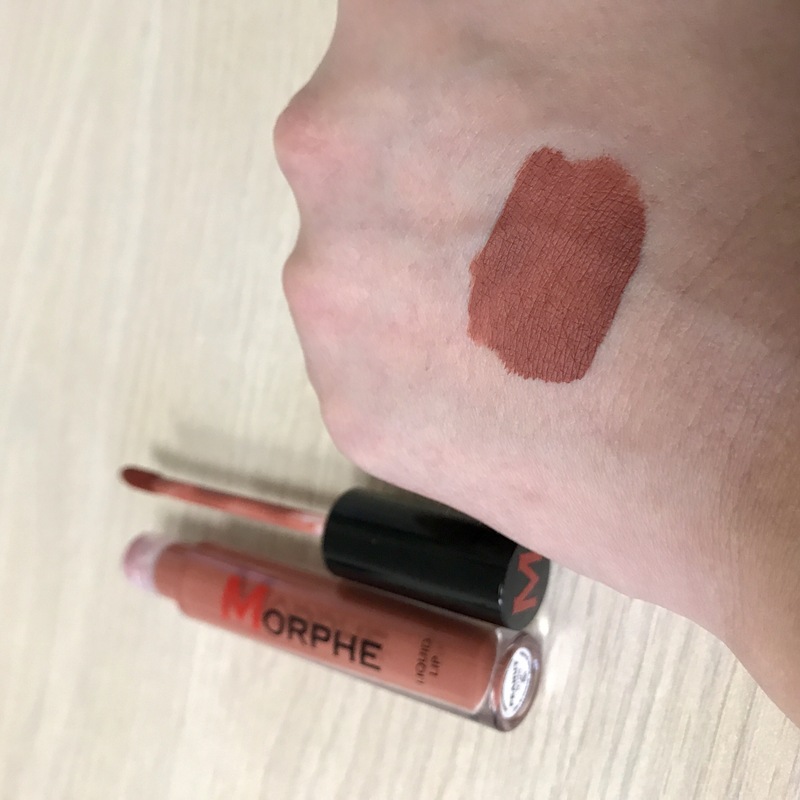 The shade itself is a very warm terra cotta color and when I originally saw it, it reminded me of the all of the warm neutral eyeshadow shades that have been super popular lately & I knew that i had to have it immediately. Now normally, oranges & reds are colors I wouldn’t normally gravitate towards because I’m always nervous that they would make my teeth look yellow or weird but this shade doesn’t not do that. It is a beautiful warm color that I believe will be flattering to multiple skin tones. Formula-wise, it has a light weight almost moussey texture that applies smoothly & with full opacity in just one pass. I have a dark spot on my bottom lip that is totally covered with one layer. 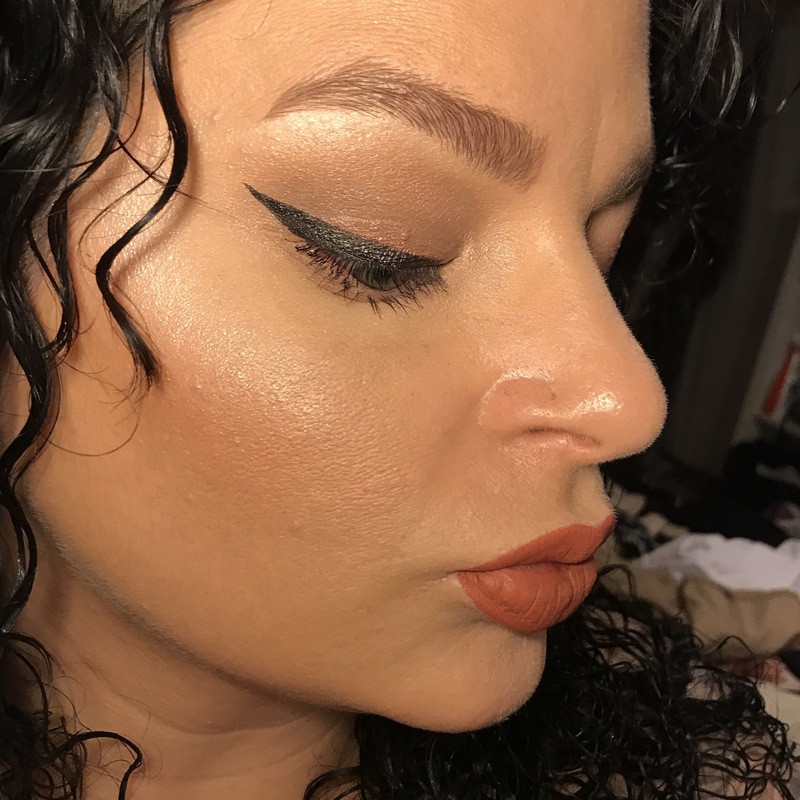 That being said, it does layer nicely, which means that it is a formula that you can touch up when it begins to wear away without having to remove the existing product. I haven’t experienced any flaking, crumbling, travelling & it wears off nicely. It has a sweet frosting type of scent that isn’t overwhelming & it doesn’t linger once the formula dries down seconds after application. The doe foot applicator isn’t anything spectacular but it is perfectly functional & never delivers too much product. It’s not incredibly drying or crusty. It is also worth noting that I have been able to wear the Nivea Milk & Honey lip balm, the Too Faced Peach Lip Oil & the Sephora Brand Lip Oil over this liquid lipstick without it getting weird or gross. I’m super impressed by both the color & the formula. To the point where I have been wearing this liquid lipstick almost daily since I got it. I am absolutely looking forward to trying other shades. Have you tried any of the Morphe Brushes liquid lipsticks? Which shade(s)? Thoughts? Comment down below, I’d love to know! LMAO!! Wow, you’re so right! I thing Ginger was the only one of Kylie’s Lip Kits that I wish I would have purchased!! Gorgeous shade! It looks amazing on you! Thanks, Ruth! I really hope the formula is consistent across all the shades.